We at Stobo Castle are very proud of being a member of VisitScotland’s Green Tourism Business Scheme. We have taken a sense of purpose to awaken our staff and residents to how fragile our earth is. Our policy is to ensure that our team members can voice their opinion towards a greener vision and put into action the Green requirements expected to save our environment. In order to preserve our Scottish environment and to conserve our natural resources we would be grateful for your participation. The environment is the central core for all our lives. It effects all of us from the basics of air, food and water. There are hundreds of examples of environmental problems whether it be the Greenhouse effect, the o-zone layer, nuclear power and energy, traffic pollution or waste management. All the time we hear about these and other environmental problems affecting our planet. With the geniuses of science we can protect the future, even though it has daunting consequences for the human race. So now with so much information available it’s not just the scientists who have a voice, we all have a voice to change the world for the better and create a safer planet for our children to live in. The environmental problems affecting our planet have created a new market for “green” companies like us at Stobo Castle Health Spa. We as a business care not just for the individual client but also about protecting the whole planet. We are committed to environmental protection and with help from our staff, we know we can make a change and a difference. This outlines our companies’ view of Green Issues and how we can achieve a greener business and a greener planet. We hope you can help continue our “Green Policy” as well to help improve the world. Stobo Castle also actively contributes to conservation work such as the preservation of wild flowers through our membership of “Plant Life – Supporting the diversity of Flora and Fauna“. In 2013, a biomass boiler was installed along with 460 solar panels on our spa roof. 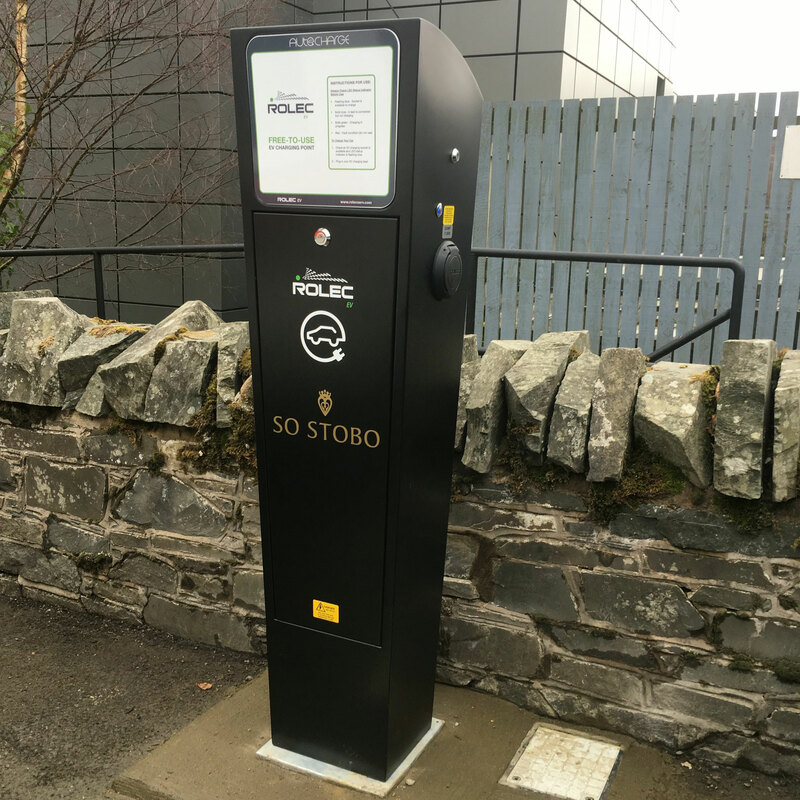 February 2016 saw the successful installation of a Rolec 7kW dual-headed electric vehicle charging station by BMM-ltd, which allows guests with electric cars to fully charge their vehicle, free of charge, while they relax at Stobo.